Travel companies in China are vying for overseas supply resources as the nation’s outbound tourism sector grows rapidly. The travel industry is being revolutionized, driven by technological advancement and reinforcement that enhance in the connections between online and offline, domestic and overseas travel companies, and companies and consumers. The travel industry is embarking on a new era. Following major acquisitions and mergers in the business, travel firms are increasingly focusing on user experience and efficiency improvement brought about by innovative technologies. Technology applications and development of VR, AI, robotics and others are on the rise in the integration and innovation of global tourism. How should travel giants revolutionize themselves to reach new heights, and how should startups break through in the competitive market? Over 1200 leaders in the global travel industry will attend the 2017 TravelDaily Conference, "Breaking through in a new era", to be held on Sept. 13-14 in Shanghai. 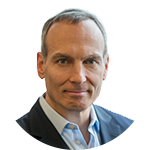 Mr. Glenn D. Fogel is Chief Executive Officer and President of The Priceline Group, a position he has held since January 2017. He previously served as The Priceline Group's Head of Worldwide Strategy and Planning, an office he has held since November 2010. He was also Executive Vice President, Corporate Development, a position he held since March 1, 2009, and was responsible for worldwide mergers, acquisitions and strategic alliances. Mr. Fogel joined The Priceline Group in February 2000. Prior to that, he was a trader at a global asset management firm and prior to that was an investment banker specializing in the air transportation industry. Mr. Fogel is a member of the New York State Bar (retired). Jane Jie Sun serves as CEO and a member of the board of directors of Ctrip.com International, Ltd. (NASDAQ: CTRP) from November 2016. Prior to that, she was the Chief Operating Officer since May 2012 and Co-President since March 2015, and Chief Financial Officer from 2005 to 2012. Ms. Jane Jie Sun is well respected for her extensive experiences in operating and managing online travel businesses, mergers and acquisitions, and financial reporting and operations. 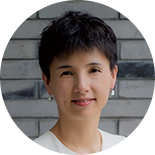 During her tenure as the Chief Financial Officer of Ctrip, she won the Best CFO Award by Institutional Investor and Best CFO Award by CFO World. Prior to joining Ctrip, Ms. Jane Jie Sun worked as the head of the SEC and External Reporting Division of Applied Materials, Inc. since 1997. Prior to that, she worked with KPMG LLP as an audit manager in Silicon Valley, California for five years. Ms. Jane Jie Sun is a member of American Institute of Certified Public Accountants and State of California Certified Public Accountant. She received her bachelor’s degree from the business school of the University of Florida with high honors. She also attended Beijing University Law School and obtained her LLM degree. Mr. Any Wu is CEO of Tongcheng Tourism. He has more than 10 years of experience in tourism and e-commerce industry. Under his leadership, Tongcheng Tourism has become China's leading online leisure travel player, ranking fifth on the annual top 20 China Tourism Groups list in 2016. Tongcheng Tourism raised 6-billion-yuan in a strategic round backed by Wanda, CITIC Capital in July 2015. The company takes a leading position in attraction ticket booking and cruise. Tongcheng Tourism is actively developing outbound travel, domestic tours and short excursions. Mr. Feng Bin has over 30 years of experience in tourism since 1984. Under his strong leadership, Utour Group was successfully listed in Shenzhen Stock Exchange as the first privately-owned tour operator in A-share stock market. He also focuses on new direction of tourism industry, and is actively expanding the business into sports industry, Internet industry, currency exchange, capital markets and other areas. 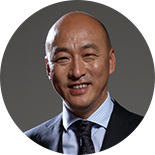 Mr. Dongjie Guo is Chairman & CEO of Huayuan International Travel. 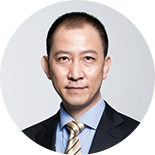 Mr. Dongjie Guo joined Ctrip as Senior Vice President in 2008 and was the Chairman of the Board of Shanghai Ctrip International Travel Service Co., Ltd., since September 2012. In this role, Mr. Guo was responsible for managing and developing Ctrip’s package vacation business and he had achieved considerable success. Mr. Guo was the Executive Director of both the China Association of Travel Services and the Cross-Straits Tourism Exchange Association and was also selected by the Beijing International Studies University as special researcher in its Tourism Research Institute. Prior to joining Ctrip, Mr. Guo spent 20 years working in the travel industry. In 1988, he began working at Beijing Youth Travel Service Co., Ltd., where he spent ten years developing his knowledge and management skills. He then became President of China Comfort Travel Group Co. in 1998 and was responsible for managing all aspects of the business. In 2007, Mr. Guo was appointed General Manager of Marketing by the Beijing Tourism Group. With his ample experience and profound insight into the industry, Mr. Guo has made remarkable contributions to the development of the Chinese travel industry. Since May 2015, Ms. Jenny Zhang has served as Chief Executive Officer of HUAZHU Hotels Group Ltd. She has joined HUAZHU as Chief Financial Officer since March 2008, ever held the position of Chairman in January 2015. With the perspective on globalization, she leads HUAZHU’s rapid development and implementation of multi-brand strategy to maintain a leading position in the hotel industry. Jenny received her master degree of Business and Administration from Harvard Business School. She has more than 10 years of working experiences of financial management in multinational enterprises. HUAZHU Hotels Group Ltd. (NASDAQ: HTHT) is a leading and fast-growing multi-brand hotel group in China, owning more than 3,000 hotels across over 360 cities with 60,000 employees. The upgraded Loyalty Program, HUAZHU Rewards, with over 80 million members, promises a fun and quality trip by comprehensive services covering accommodation, transportation, shopping, etc. 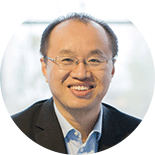 Mr. Shaohua Li joined Alibaba Group in 2011 as General Manager of Travel BU in Alipay. Prior to that, Mr. Shaohua Li had been working in airline companies for years and accumulated abundant experiences in E-commerce area of the travel industry. 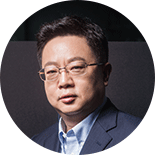 Mr. Shaohua Li comes from a technical background and has profound understanding on how to bring new technology and new ideas to market. During his service at Alipay, Mr. Shaohua Li and his team built a revamped overall payment solution system specialized in travel business, expanded Alipay's business scope in travel industry to include offline payment, and championed several innovative mobile internet projects. The team's work successively helped Alipay transform its business into a B2C-based model in travel industry. In April 2013, Mr. Shaohua Li was nominated as General Manager of Travel BU in Alibaba Group. The Travel BU has been upgraded into Travel Business Group and Alitrip was its new brand. On October 28, 2016, Alitrip was officially renamed Fliggy. 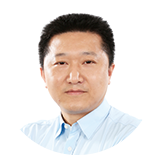 Mr. Justin Luo is Co-founder & CEO of Tujia.com. He had served as CRIC’s co-president since October 2009. Mr. Luo had served as the general manager of Shanghai SINA Leju since December 2007. Before joining SINA, Mr. Luo was a director of Unified Communications Business for Greater China Region at Cisco Systems (China) Networking Technology Co., Ltd.
Sep 13 14:30 - 14:55 Keynote：How to Build a China-Style Unique Vacation Rental Product? Copyright © 2017 TravelDaily Inc.